lamb chops | Crappy Kitchen - Good Dinners! I took a train trip yesterday and while gazing out the window I passed fields and fields of grazing sheep and lambs. They can be seen everywhere munching down on the famous green grass in Ireland. 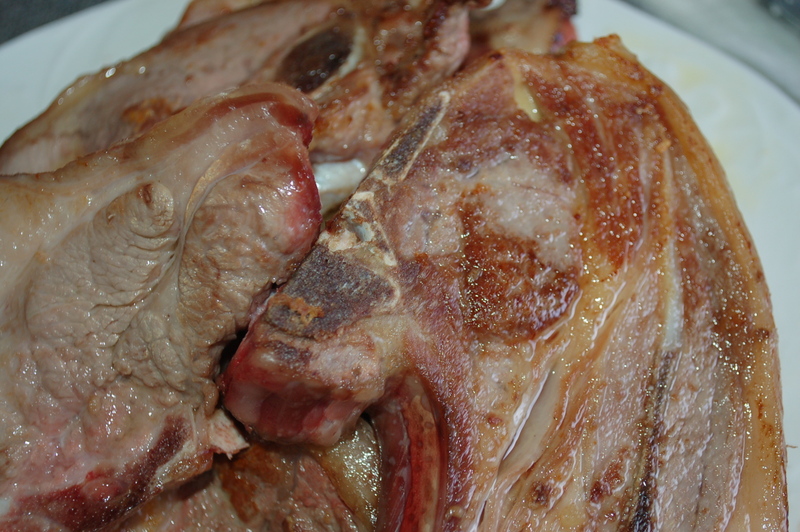 What is a Gigot Chop? 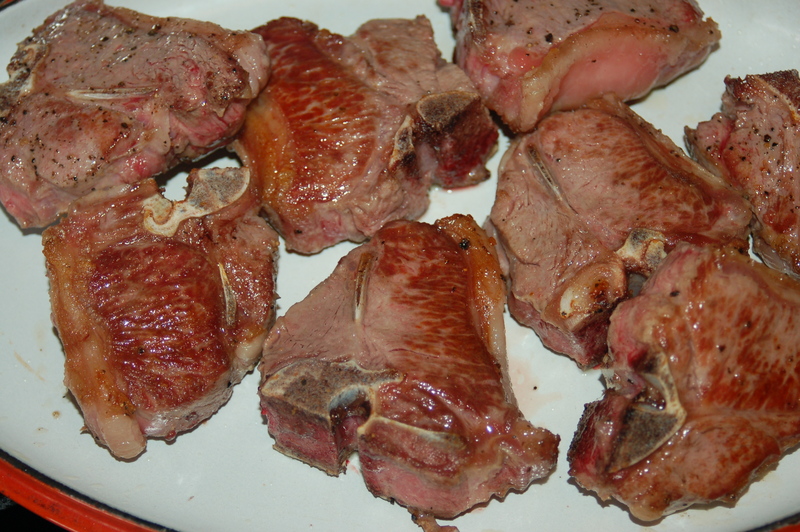 : It is a chop cut from the leg of an animal (I usually think of lamb but gigot pork is also a common cut). 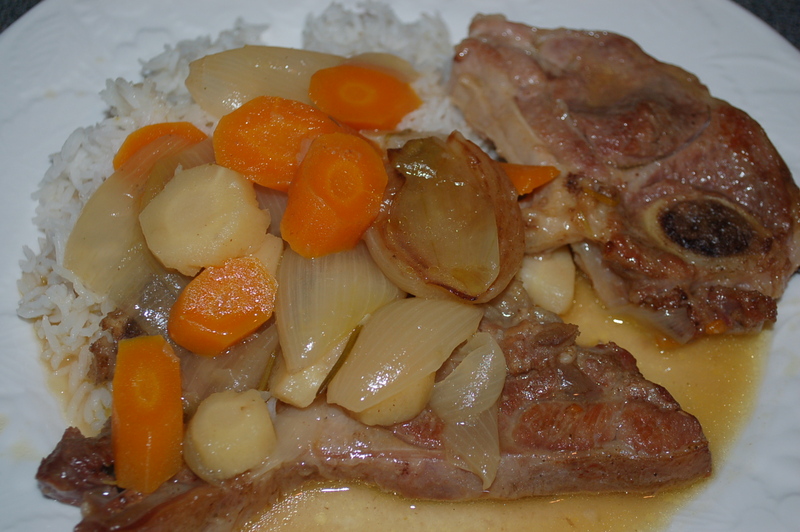 This chop has a small bone in the center helping provide a wonderful sweet flavor to a dish like a stew or any type of slow braise. 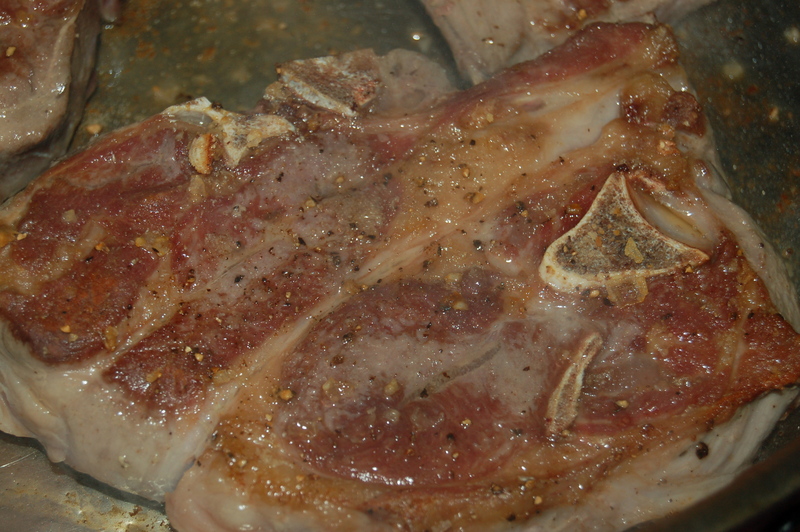 5 – Add the chops in an even layer (meat will certainly overlap slightly). 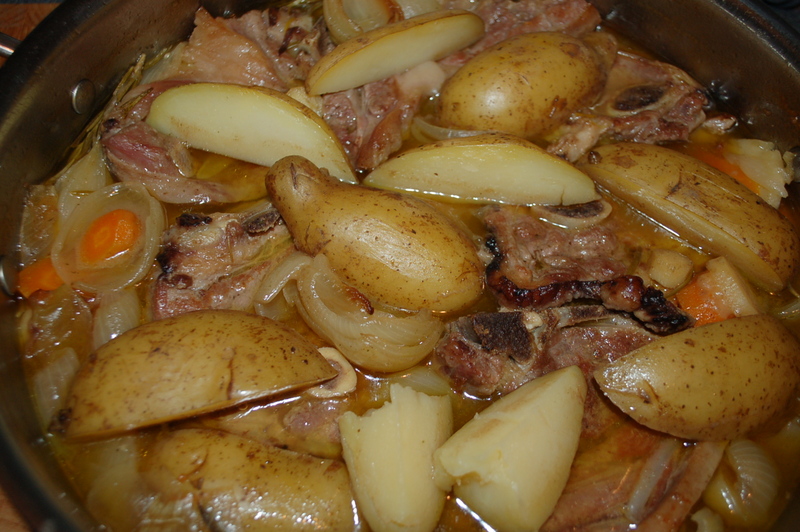 Next scatter the quartered potatoes on top of the lamb. Cover with a lid. 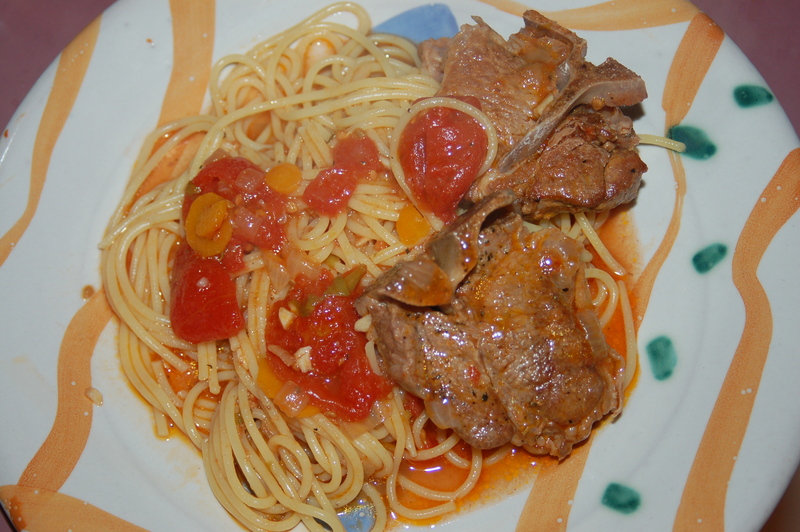 This dinner was a rare treat; lovely little lamb chops simmered in tomato sauce – unctuous! 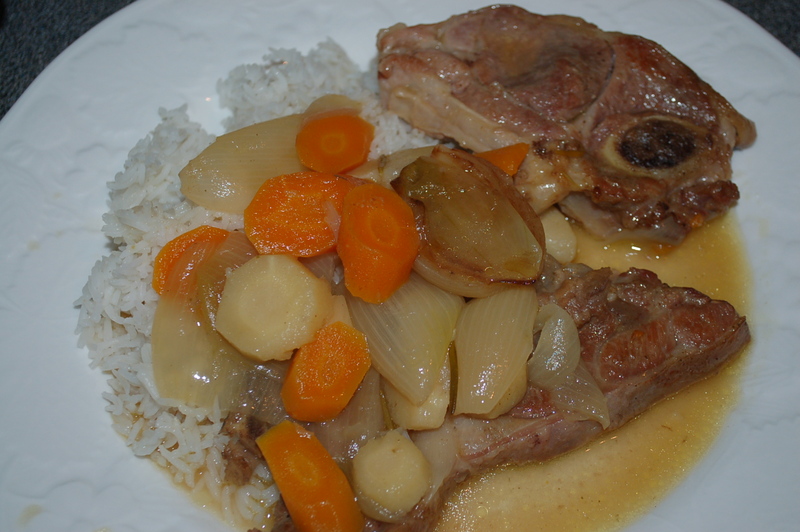 I love the flavor of lamb but don’t get a chance to cook with it very often as it is so darn expensive. However, yesterday, my luck changed! I went to the supermarket hoping to be inspired, and was so pleased when, as I was perusing the meat choices, I found that 3 packages of lamb chops were on sale. Their expiration date was the same day and they had to be reduced for fear they got wasted. I know for a fact that all meat, if not sold by their expiry date gets lifted from the shelves and consequently disposed of. I hate when that happens, when an animal dies for nothing. Well, that was not going to happen to these little lambs. 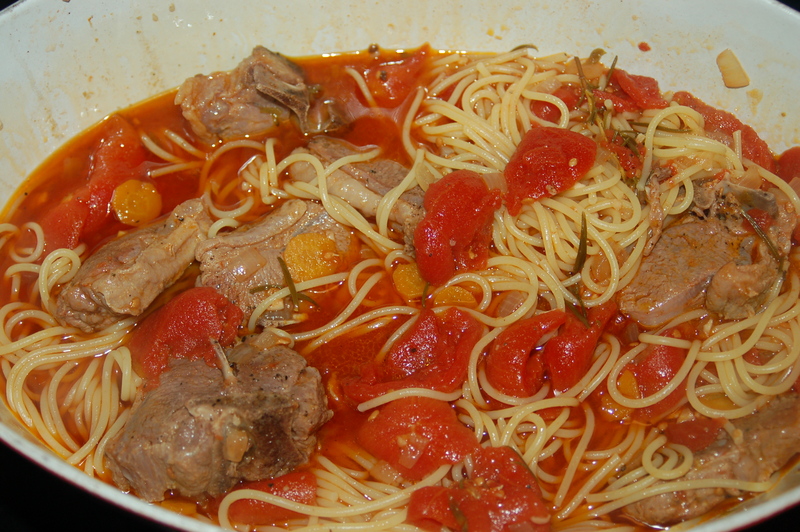 I promptly bought them and made a delicious tomato sauce infused by the lovely flavors of the lamb chops. 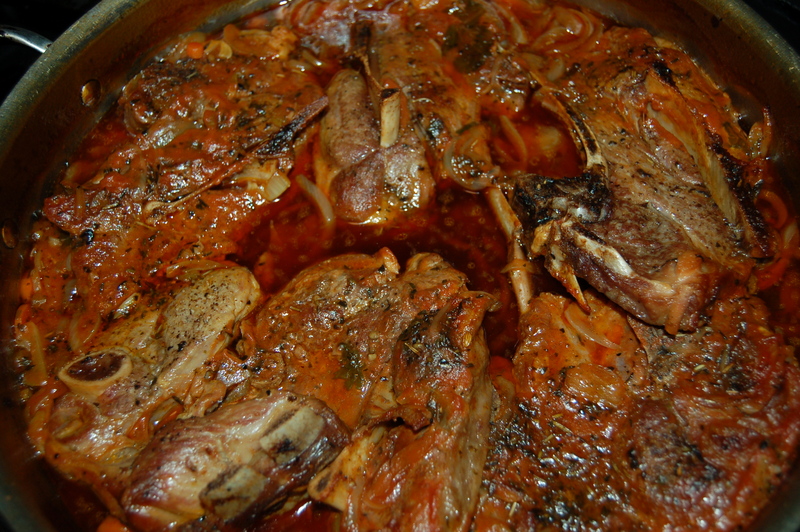 I love a rich tomato sauce and the lamb gave it such a wonderful extra layer of depth. I ate my dinner very happily indeed. 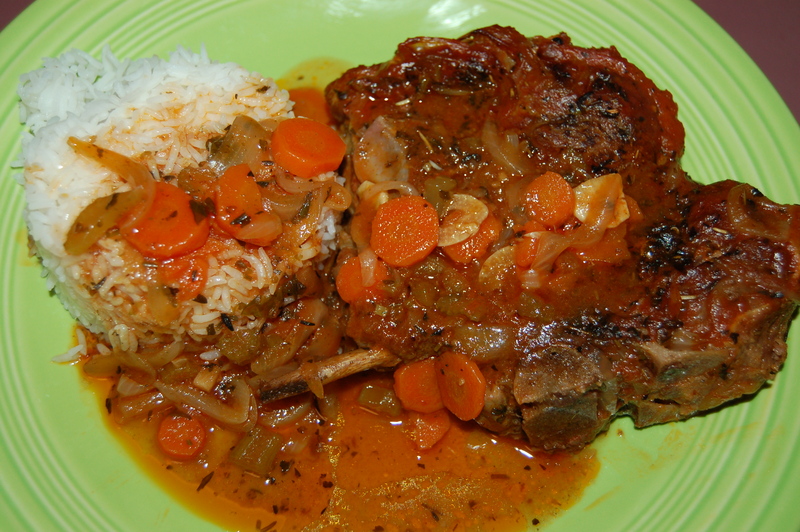 You will need: 12 little lamb chops, 4 tbs extra-virgin olive oil,1 small onion, diced, 1 carrot, thinly sliced, 1 large garlic clove, finely chopped, 2 rosemary sprigs, 2 tbs celery leaves, chopped, 1 28oz can plum tomatoes with juices, roughly chopped,(I used San Marzano),1/2 cup chicken broth, 1 tsp coarse sea-salt, freshly ground black pepper, 1 lb spaghetti (I used Barilla brand). 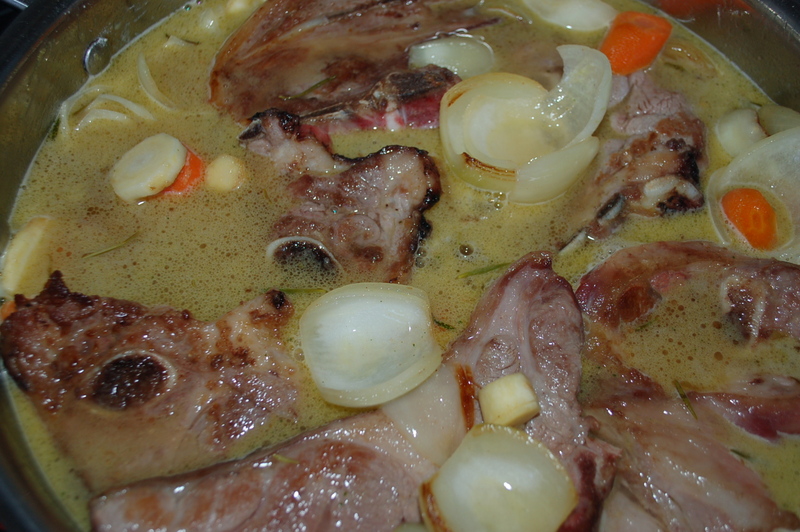 1 – Season the chops with salt and pepper and put heavy casserole or pot (needs to have a lid) on high heat. 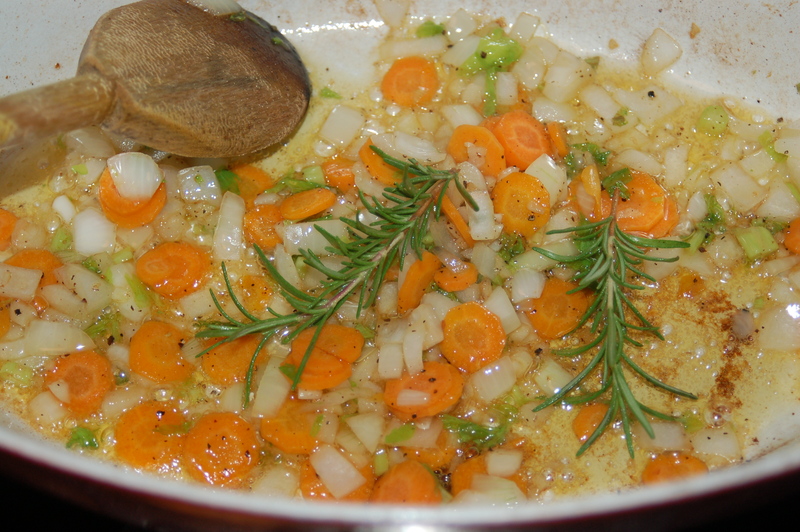 Add 2 tbs of the oil and when it is very hot, sear the chops in batches until they are brown on both side. Do not crowd the pan or they will not brown properly. 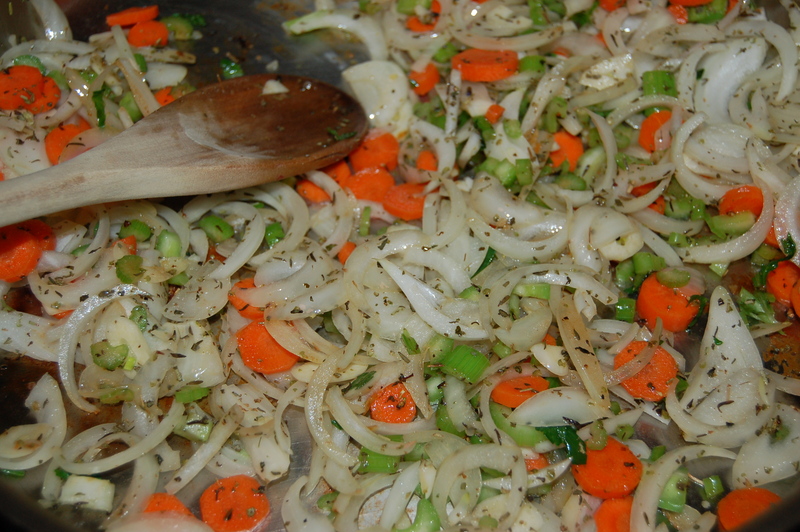 Transfer to plate as you go and add more oil as needed. 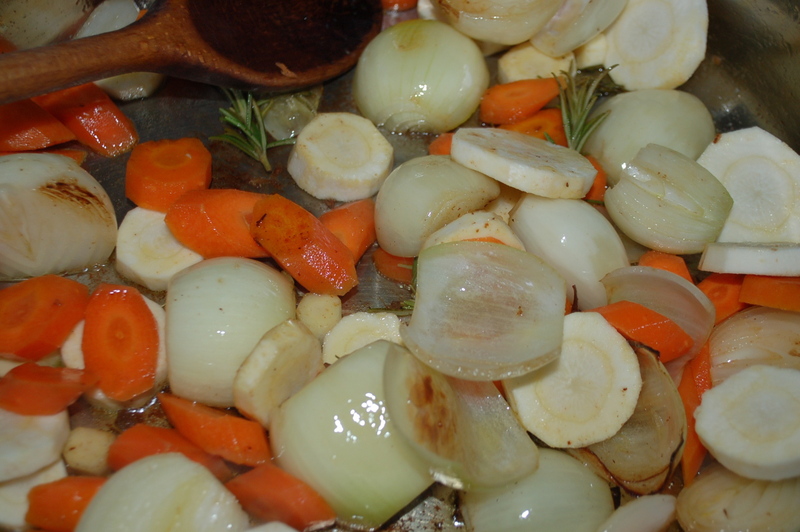 2 – Turn heat down to low/medium and add a little more oil if necessary. 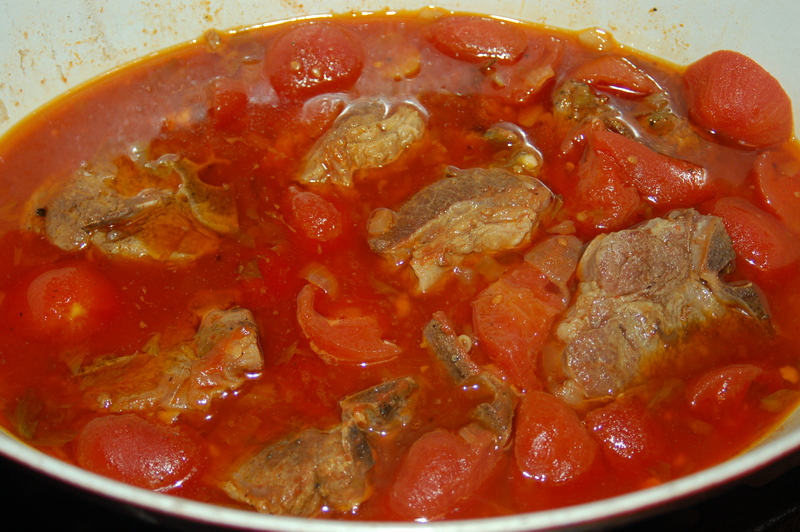 Add the rest of the ingredients except for the tomatoes and lamb and cook for 10 minutes, stirring occasionally. 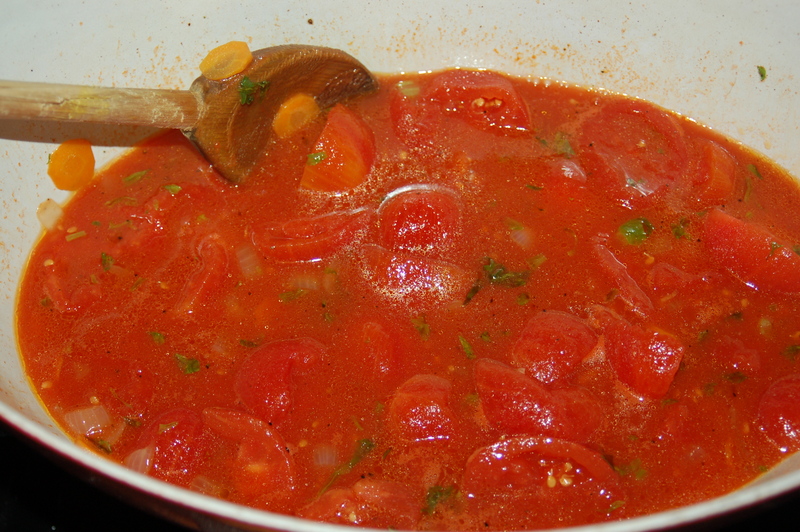 3 – Add the tomatoes, juices, 1 tsp salt, pepper, and broth and bring to a boil. 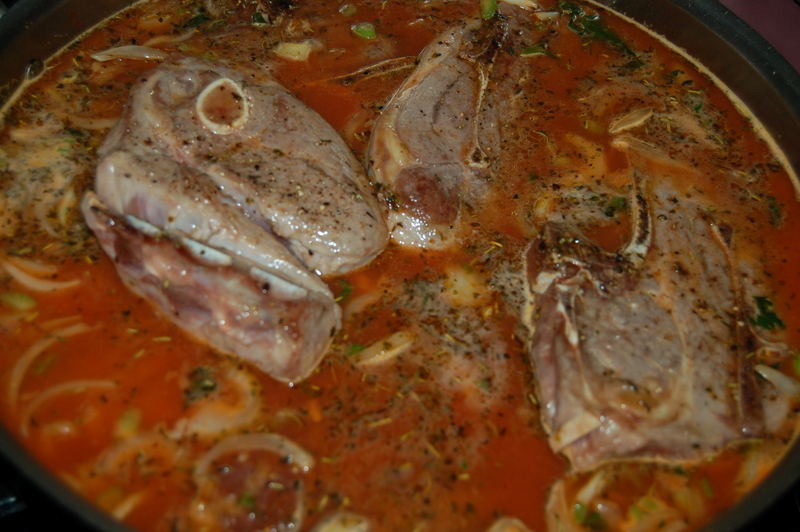 Add the chops and turn pot down until it reaches a gentle simmer. * when sauce and chops have 15 minutes left to cook, put water on for pasta and cook according to instructions. 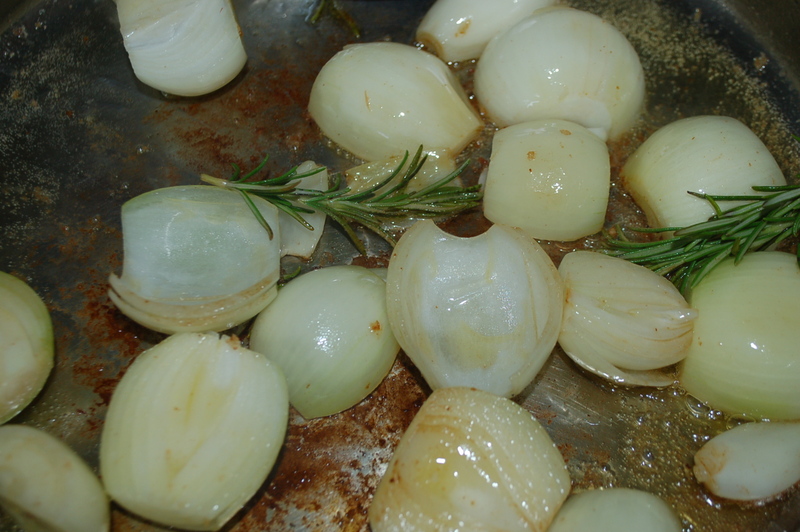 Before draining, scoop out a little pasta water in case you need to add it to your sauce. 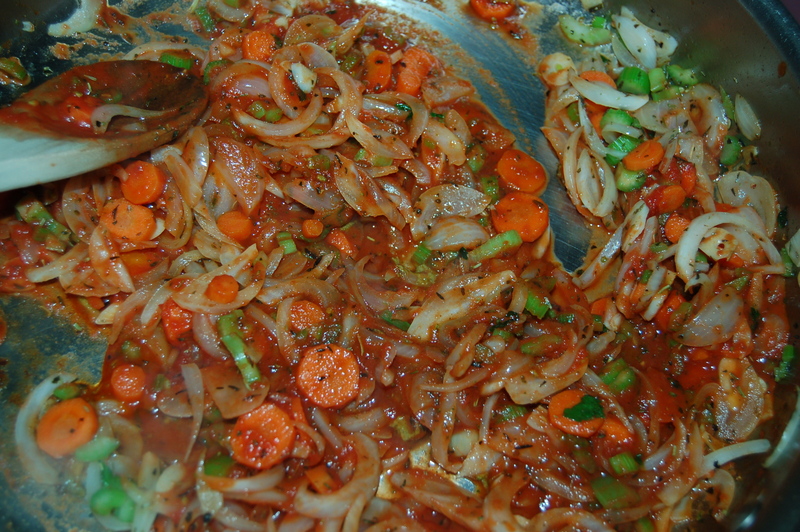 5 – When pasta has cooked, drain and immediately add to the sauce and mix gently to incorporate. 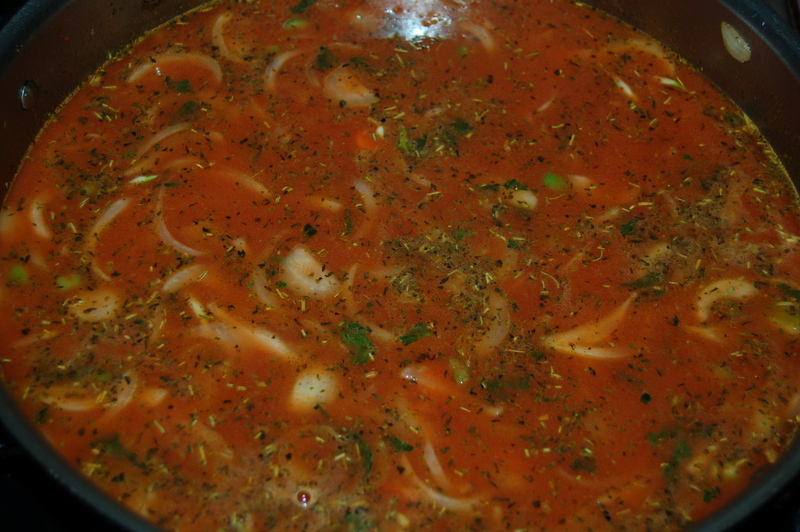 If you like, or want a thinner sauce, add a little of the reserved pasta water. Serve on big plates giving 2 chops per person, and pass Parmigiano Reggiano cheese if you like.